Leslie Larson awarded for professional excellence and exceptional client satisfaction. I’m grateful to each of my clients for allowing me to be a part of such a monumental event in their lives. Five Star Professional is pleased to announce Leslie Larson, On Tap Credit Union, has been chosen as one of Denver’s Five Star Mortgage Professionals for 2017. “I’m grateful to each of my clients for allowing me to be a part of such a monumental event in their lives. Buying a home is a long-term investment, and it’s extremely rewarding to play a key part in helping them reach their dream of finding exactly the right home and starting a new chapter in their life,” said Leslie Larson. Five Star Professional partnered with 5280 magazine to recognize a select group of Denver-area mortgage professionals who provide quality services to their clients. Leslie Larson was featured, along with other award winners, in a special section of the September Issue. “It’s an honor to be recognized for the individualized service I provide my clients. I give a tremendous amount of care and attention to their home-buying experience. As a previous business owner, one of the valuable lessons I’ve learned is that people need to know you care before they care. It’s a rewarding experience to see my clients achieve their dream of home-ownership or save money on their current loan,” said Larson. “We aim to uncover the best mortgage professionals across the country. To ensure that we recognize those with the highest of standards, we go to the source – we gather client feedback and use a rigorous research methodology to evaluate candidates and determine qualified winners,” said Josh Kimball, VP Marketing, Five Star Professional. 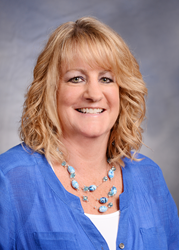 See Leslie Larson’s Five Star online profile here! Five Star Professional contacts thousands of recent homebuyers, along with real estate agents, to identify award candidates and measure their client satisfaction levels. Phone, mail and online respondents rate their mortgage professional on criteria such as overall satisfaction and referability. Qualifying candidates are then evaluated on objective criteria such as experience, production levels and disciplinary and complaint history.